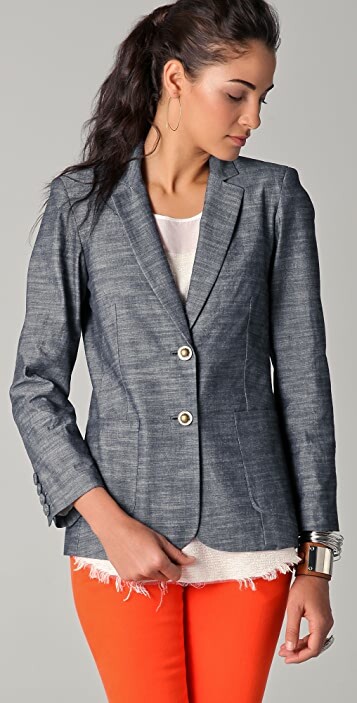 This cotton blazer features a notched collar and a 2-button closure. Patch hip pockets. 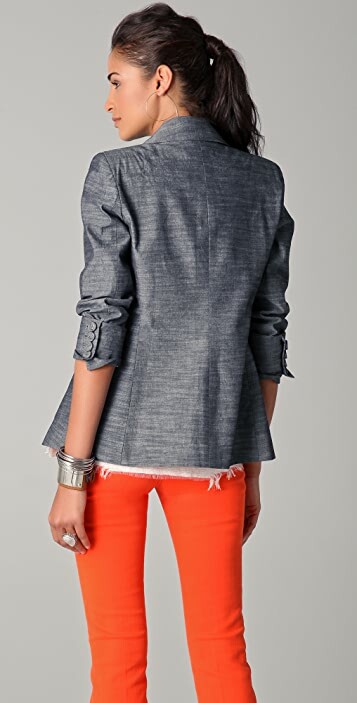 4-button cuffs at long sleeves. Lined. A graduate of Parsons School of Design and winner of the CFDA Emerging Designer Award, Seattle native Chris Benz presented his first ready-to-wear collection in February 2007 during New York Fashion Week. Formerly a designer for Marc Jacobs and J. Crew, Benz's understanding and mastery of color, proportion, tailoring, and finishing detail are evident in his collection. Meticulous yet effortless, Benz embraces a "perfectly imperfect" aesthetic that combines vintage elements and luxury materials.